ORDIZIA MARKET, A REAL FEAST FOR THE SENSES Languages: Spanish, Basque, English, French Available dates: Every Wednesday, 11:00-17:00 Meeting Point: Ordizia Tourist Office Santa Maria 24 Be initiated into the secrets of one of the best cuisines in the world. In a pleasant and fun atmosphere, discover the passion and love that good food requires. You'll get great tips from prominent local chefs who will teach you to prepare the most acclaimed Basque dishes, so then you can prepare them at home and give your friends a tasty surprise. 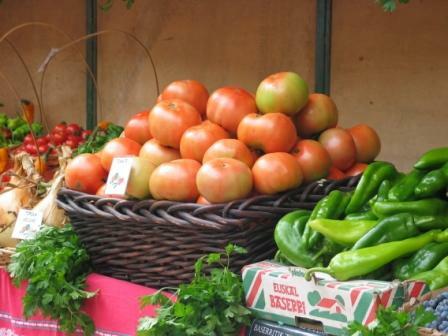 Among the variety of produce available to you at the famous Ordizia market, you can choose your ingredients, accompanied by a local chef. 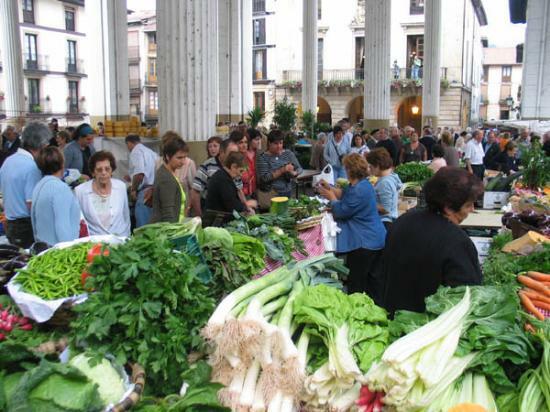 This market is the oldest in Gipuzkoa and has been held continuously every wednesday since 1512. When you have all the necessary ingredients to make your healthy men, make you way to Delikatuz center, a privilege available to very few. The chef will teach you how to prepare the menu and share some nutritional advice while you are sampling the food. 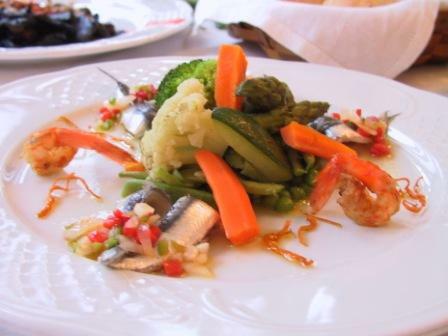 In the afternoon we suggest that you pay a visit to D'elikatuz, the Food an Culinary Center. You will have the chance to learn about the history of Ordizia Market and about the changing seasonal produce on offer to the market-goer, including one of the most highly prized in the area, Idiazabal cheese..